This is a sponsored conversation written by me on behalf of Endless Summer Hydrangeas. The opinions and text are all mine. 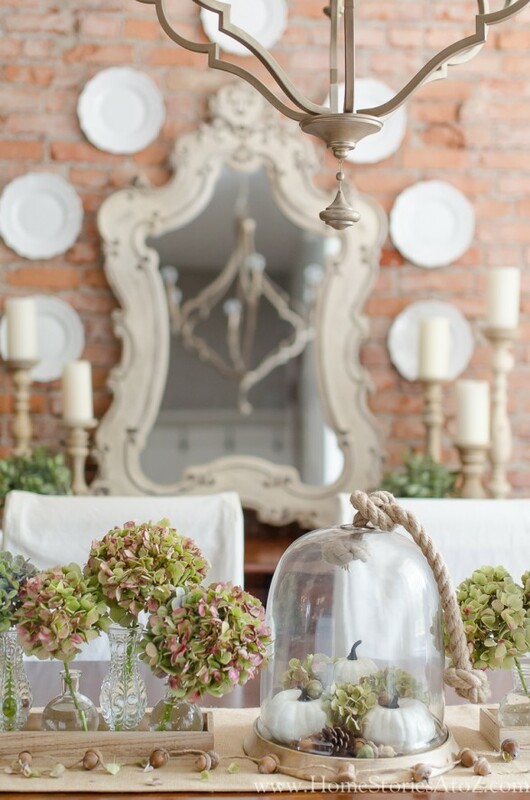 Hydrangeas are one of my all-time favorite flowers, and I love decorating with them year round. 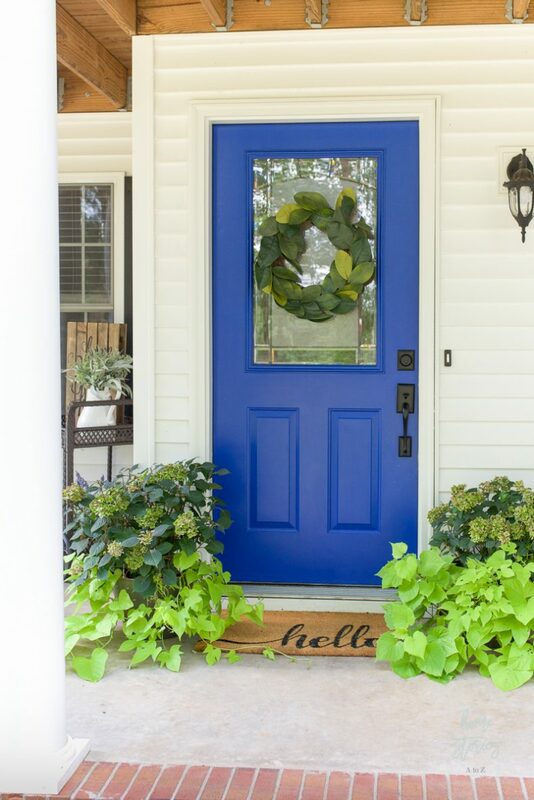 This past spring, I planted BloomStruck® hydrangeas in copper containers on my front porch and have enjoyed them all summer long! They survived the move and zone change from South Central Pennsylvania to Upstate South Carolina beautifully. 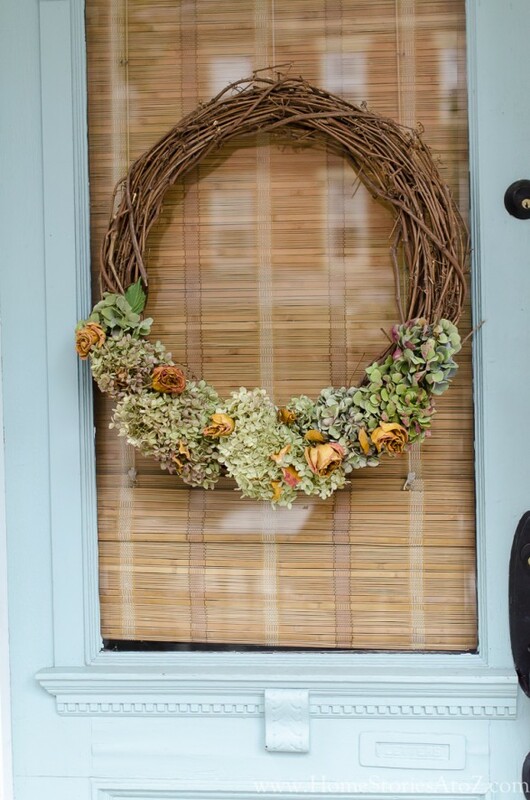 Now that fall is almost here, I’m thinking about how to prepare Endless Summer® Hydrangeas for winter. If you have container planted hydrangeas like I do, you have two options. 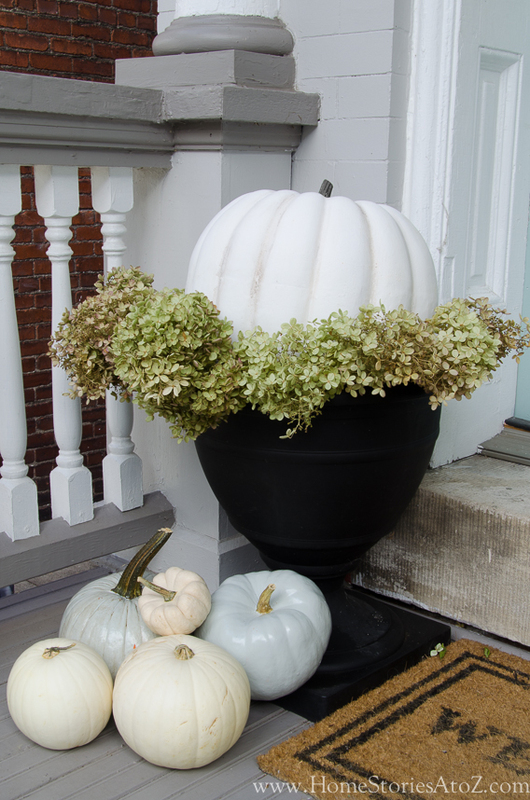 You can either plant them in your yard this fall, or you can keep them in their containers throughout the winter. Today I’ll show you how to do both! To plant your hydrangeas in early fall follow the same steps you would in the spring. 1. Determine the best spot for your hydrangeas. The best spot to plant your hydrangeas is going to largely depend on what zone you live in. When I lived in Pennsylvania my hydrangeas loved the morning and early afternoon sun and late afternoon shade. Here in South Carolina where it is much warmer, my hydrangeas enjoy just a few hours of morning sun with dappled shade the rest of the day. Pick a spot that you think will make your plants happy! 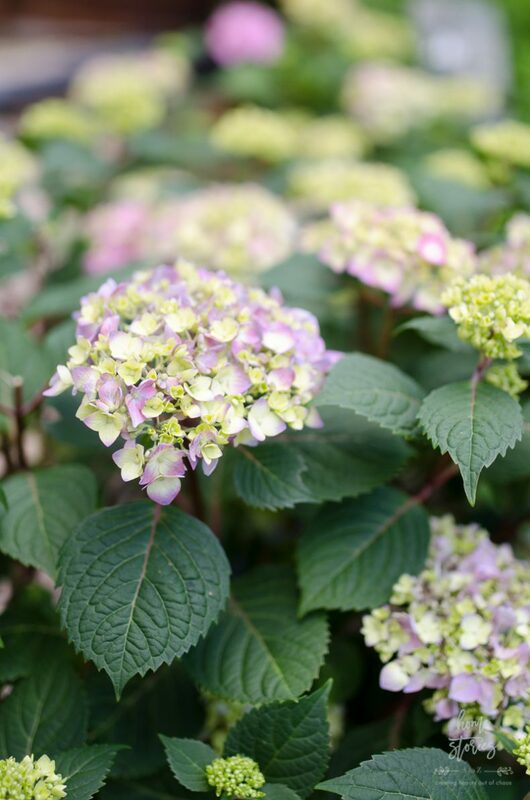 The type of soil you plant your hydrangeas in will greatly impact the overall health of the plant, so do not ignore this step! It’s tempting to want to just dig a hole and hope for the best, but this is not recommended. Protect your investment by first determining what type of soil you have. If you’re unsure, you can purchase a soil test kit from your local nursery, or online. Once your soil type is determined, follow the soil preparation instructions found here in order to properly prepare your soil. Dig a planting hole that is slightly larger than your plant’s root base and be sure that any necessary fertilizer has been added to the soil before placing your plant into the hole. Loosen the bottom of your plant’s root ball and place the hydrangea into the hole. The base of the stems should be level with the ground. Do not bury the bottom of the stems too low into the ground, or this could cause your plant to rot. If your hole is not deep enough and the top of the plant is mounded above ground level, then your plant could dry out. Level is what you are going for! As you refill the hole with soil, create a small water dam around the hydrangea. This will help collect the water and ensure the plant stays moist. Water your newly planted hydrangea as needed until frost. 4. Leave blooms on hydrangeas all winter long. 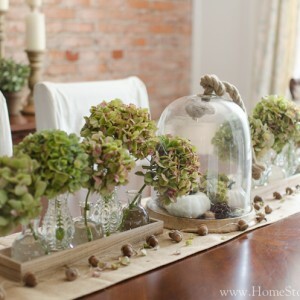 Cut hydrangeas are gorgeous and can be dried indoors to enjoy year-round. However be sure not to prune your hydrangeas in the fall! New growth grows on old stems and new wood, so it is best to not prune or cut back your shrubs after August 1st. The less you prune your hydrangeas, the more blooms you will have the following year! Leaving the fall blooms on your plants over the winter provides winter interest, and ensures you aren’t removing buds that will become flowers in the spring and summer. If planting your hydrangeas this fall isn’t what you desire, the you can overwinter your plants within their containers. To do so, simply cover the soil in your container with pine needles or light mulch and bring your container plants into your garage or basement to rest for the winter months. Water your plants once a month, or a few times during the winter. Your hydrangeas will not receive moisture from rain and snow so watering occasionally is important. 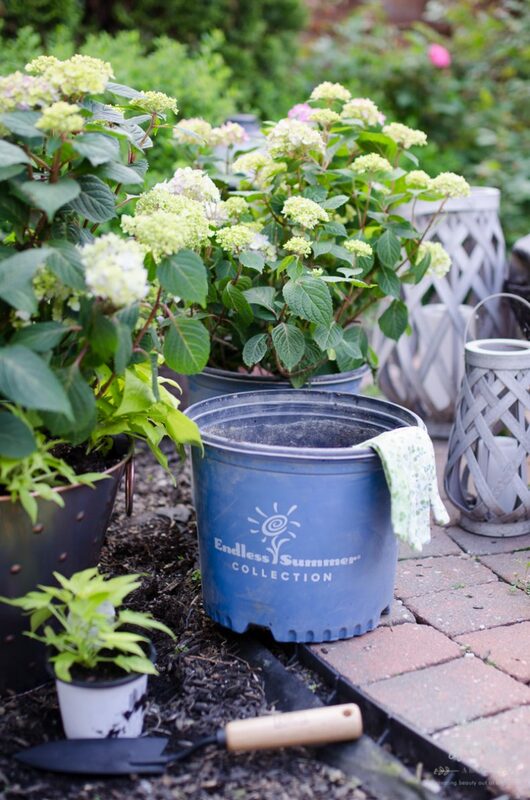 For more information on container gardening with hydrangeas, check out the post here. 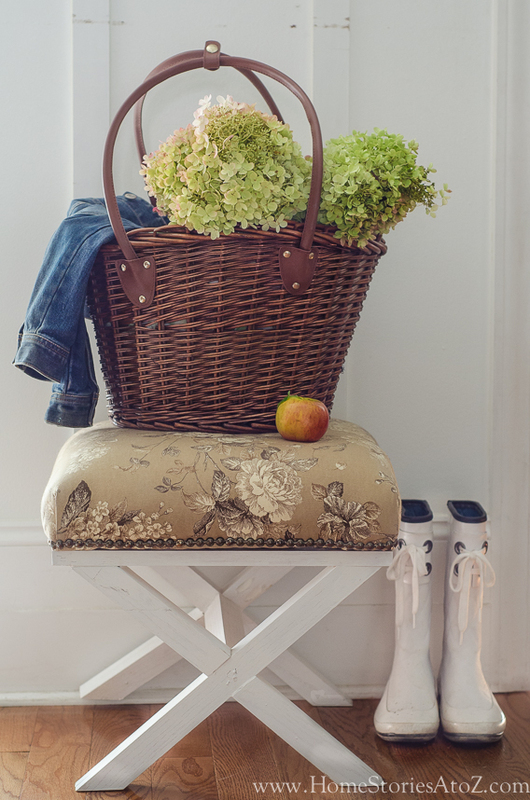 It can be challenging to remember when to do what for your Endless Summer® hydrangeas. For timely care reminders Text ENDLESSSUMMER to 73095 and receive free care instructions throughout the year. One of the most amazing things about growing hydrangeas is that they bring joy year round! 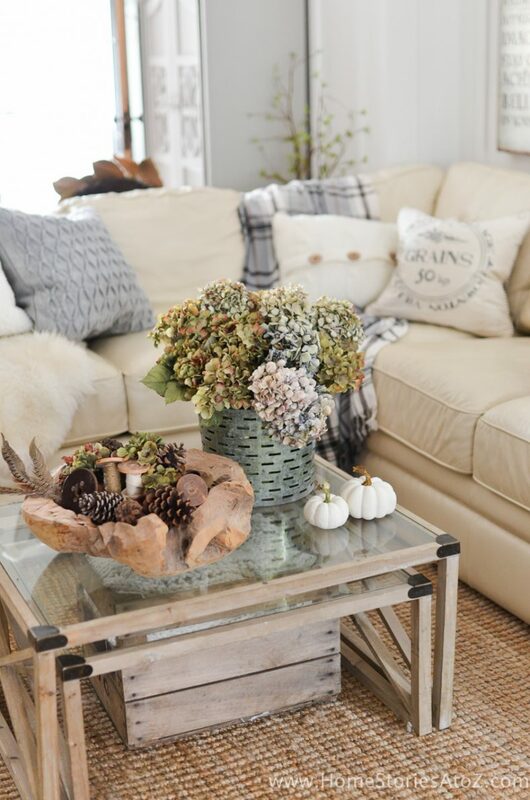 I frequently use hydrangeas in my fall decor as seen pictured below. 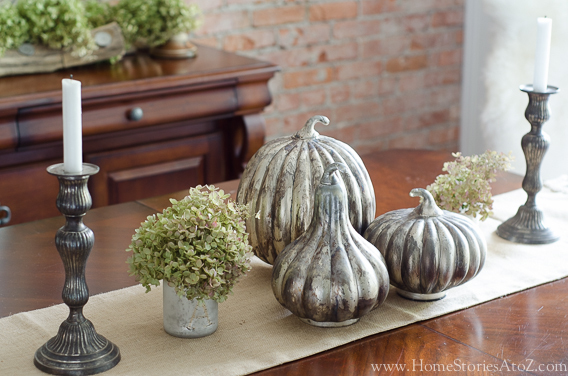 For more ideas on how to decorate for fall with hydrangeas, click here. Please follow the prompts in the Rafflecopter widget to enter. Participants must be 18 years or older to enter. Such beautiful flowers. My favorite thing about Fall is definitely the cooler weather. It’s so perfect during Fall! My favorite thing about fall is that it is the end of yard work for the season, minus the one time occurrence of raking leaves. I love hiking in the woods with my kids in the Fall! The weather is cool and the leaves are changing color! I love the colder weather and the foods that go along with fall. I love the cooler weather because it is so hot here in the summer. I also love the Fall colors in nature and fashion. My favorite thing about fall is knowing that the weather will soon get cooler. I like everything pumpkin flavored. I love taking the kids apple picking. I love the climate change and staying indoors more. I love pumpkin scent candles and cozy plaid throw blankets! i love the cooler weather, Football Season and of course all the beautiful colors on the trees! My favorite thing about fall is the cool weather and football. Fall is my favorite season. The leaves changing color, the cool, crisp weather, college football, and the holidays! These hydrangea tips are very helpful. I have a few in my yard and never know if I should or shouldn’t prune them. My favorite thing about fall is the vast array of mums to buy and display. My favorite thing about fall is the colors and FOOTBALL! I love the clothes that go hand in hand with fall! My favorite thing about fall is getting to wear boots and cardigans and generally not feeling like I’m sweating every time I move! It makes me excited to go outside vs. dreading it! I like wearing my zipper hoodie and jeans. I love all the scents of fall. 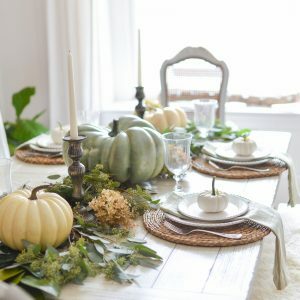 I love how the leaves have their own fragrance when they have fallen from the trees, the warm and cozy scent of cinnamon in the kitchen, baskets of apples have their own allure, apple wood burning in the fireplace, dried herbs sage, thyme, rosemary tied and hanging in a country kitchen. Hydrangeas are my favorite!! 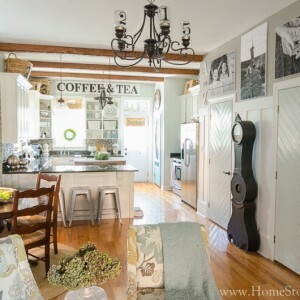 Love all of your ideas on how to decorate with them! I love the change of weather when fall comes.